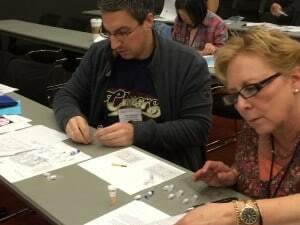 Great fun at NSTA Boston! 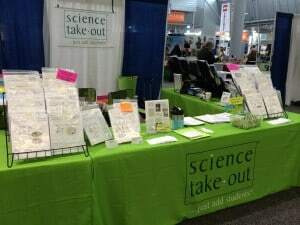 The Science Take-Out team had a wonderful time at the National Science Teachers Association national conference in Boston from April 3-6, 2014. We met lots of old friends and made many new friends who visited our booth and attended hands-on workshops of our Genetic Testing for Huntington’s Disease kits and Disease Detectives kits.